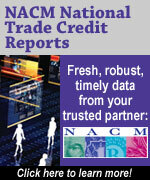 Industry Credit Groups are an important part of Business Credit for many credit professionals. Groups are formed to allow Credit Managers to meet, discuss issues and to exchange experience on mutual customers within the same industry. Creditworthy has combined the internet and advanced database programming to improve information gathering, storage and delivery to group members. The result is like combining the best of a credit group with your own industry credit reporting agency. As the Credit Manager, you have the responsibility for managing the account receivables of your company. That means promoting sales and being responsible for selling to customers that meet the company's criteria for creditworthiness. In order to perform your duties, you work hard to obtain good, solid credit information that helps to determine the creditworthiness of your customers. Part of your research may include obtaining financial information, bank experience or pay history from vendors that have sold to your customer in the past. Trade experience can be obtained through credit reporting agencies, directly from the vendor or from participating in an Industry Credit Group where trade experience is exchanged between the members. Industry Credit Groups have existed for decades with a great deal of success, but Creditworthy Company has improved the benefits by creating a web based program to manage all aspects of the group. The members are now able to access the program to obtain customer information from anywhere in the world - things only dreamed about Credit Managers just a few short years ago. 8) account monitoring and more.